With the UAE hosting the Asia Cup for the first time in over 23 years, the eyes of the cricketing world are back on the Middle Eastern nation once again. Dubai has served as the global headquarters for the ICC since 2005, signifying the importance of the UAE in today’s world of cricket. With neither historical roots nor a topography suited for the sport, how has it managed to establish itself as a pivotal centre for contemporary cricket? Despite never having achieved test status, the United Arab Emirates (UAE) has been an integral part of the cricketing world for over 30 years. 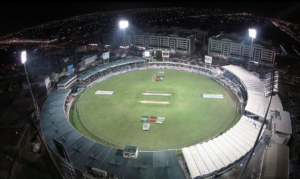 Home to the legendary Sharjah Cricket Stadium, which holds the record for having hosted the most number of ODIs while being an unofficial home ground for Pakistan and Afghanistan’s national teams in the past decade. Sharjah Cricket Stadium. Apart from hosting international series’ and tournaments, the UAE has also hosted T20 leagues such as the Pakistan Super League and the 2014 IPL season. While the UAE has seen a meteoric rise in its importance as a player in international cricket, there are interesting factors that cannot be ignored to maintain the status quo. Despite being a British protectorate until its independence in 1971, the UAE was never gripped by the cricket fever that had engulfed former colonies of the Crown. While it was popular with British military officials stationed in the UAE, cricket barely made an impact with the local Arab population. The torrid heat combined with the lack of playing surfaces in the desert meant that it was always going to be difficult for the sport to establish itself. But when the UAE saw a large influx of South Asian migrant workers in the late 1970s, things began to change. Along with their aspirations for a better life, they also brought with them their love for cricket. Cricket quickly attracted the attention of wealthy Emirati businessmen who saw the potential in the fledgeling sport. 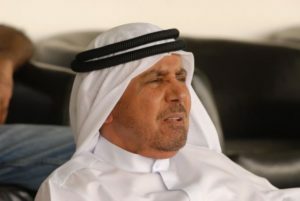 Abdul Rahman Bukhatir was the pioneer for cricket in the UAE. An Emirati educated in Pakistan, as he brought international teams and star players to the desert for the first time ever. In 1984, Sharjah hosted its first international series, the Asia Cup, which saw big guns such as India, Pakistan and Sri Lanka face off against each other. The tournament proved to be a huge success from a commercial and sporting perspective and set the ball rolling for future tournaments such as the Australasia Cup, the Pepsi Cup and Coca-Cola Cup. Sharjah was slowly taking over from Lord’s in England as the capital of international cricket. But Sharjah’s cricketing days ended abruptly. 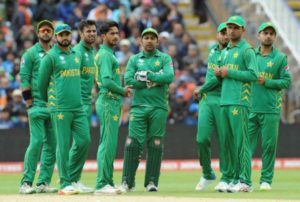 Former cricketers from India and Pakistan recalled various incidents in the 1980s and 1990s where many players were approached by bookmakers to throw away games for grand sums of money. Kapil Dev, the former Indian captain, famously asked Mumbai-based gangster Dawood Ibrahim to leave the dressing room in 1987, after he offered cars to the players of the Indian cricket team. Allegations of match-fixing tarnished Sharjah’s reputation post-2003; no international match was held for over a decade thereafter. While Sharjah brought life to cricket in the desert, cheating and match-fixing were far too much to handle for the community of the “gentleman’s game”. Despite Sharjah’s poor reputation in its later years, the UAE witnessed a surge in the growth of cricket. In 2005, Dubai was chosen as the new HQ for the ICC after tax-break issues coupled with a desire to be closer to South Asia forced the ICC to move out London. Sharjah made history the following year after it hosted a charity series featuring arch-rivals India and Pakistan. 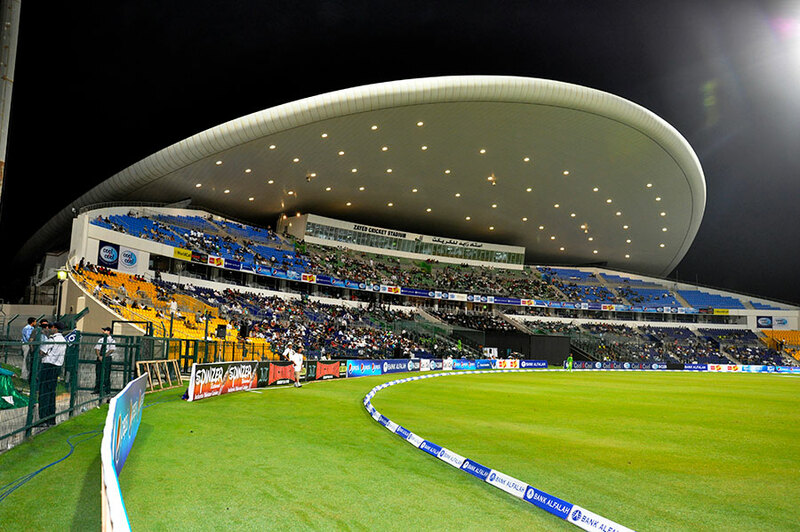 Slowly, platforms for cricket expanded further into the UAE through Dubai and Abu Dhabi. The tragic attack on the Sri Lankan national team at Lahore in 2009 by terrorist outfits posed an opportunity for the Emirates Cricket Board. 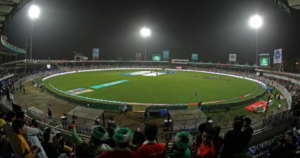 All international tours to Pakistan were indefinitely suspended, forcing the Pakistan Cricket Board to look for an alternative home venue. The UAE was the perfect replacement for Pakistan, thanks to the excellent facilities and large home support that they enjoyed. Soon after, Pakistan made their “home” debut in 2009 at the Dubai Cricket Stadium against Australia. Pakistan’s very own T20 league, the Pakistan Super League is also played in the UAE, despite the dismal attendance figures for games. As of 2018, the UAE has remained the home venue for Pakistan what with internal security still being a risk for visiting teams. The UAE has also been quick to jump on to the idea of hosting numerous T20 leagues. In 2014, many IPL games were played in the UAE. Apart from these larger competitions, the UAE has been able to start many of its own leagues such as the Masters Champions League and the T-10 League that have featured numerous homegrown as well as international players. As the world of cricket as entertainment is moving towards the shorter formats, the UAE has done well to broaden its cricketing horizons. The UAE has come a long way with respect to its status as a global player in the world of cricket. Despite lacking a side that is able to compete with the top international teams, largely due to the lack of an organized structure to retain talented cricketers within the country, the UAE has used its financial muscle and its geographic location to nurture a sport that had no organic precedence. However, the lack of cricket’s penetration among the Emirati population continues to be a thorn in the UAE’s side. Cricket’s survival in the UAE has largely depended on the large South Asian expat population and corporate sponsors; the government does very little to support the game. Spreading the game among the Emiratis will be a boon for the country and may very well produce better results in the future. Nevertheless, the UAE national team represented almost entirely by players from South Asia, has been fairly successful in recent years and achieved ODI status in early 2018 too. In the coming years, cricket’s fortunes in the UAE will largely depend on how well the game can grow organically amongst the local Emirati population; at the same time, it must continue to attract the best and brightest teams and players in international cricket.